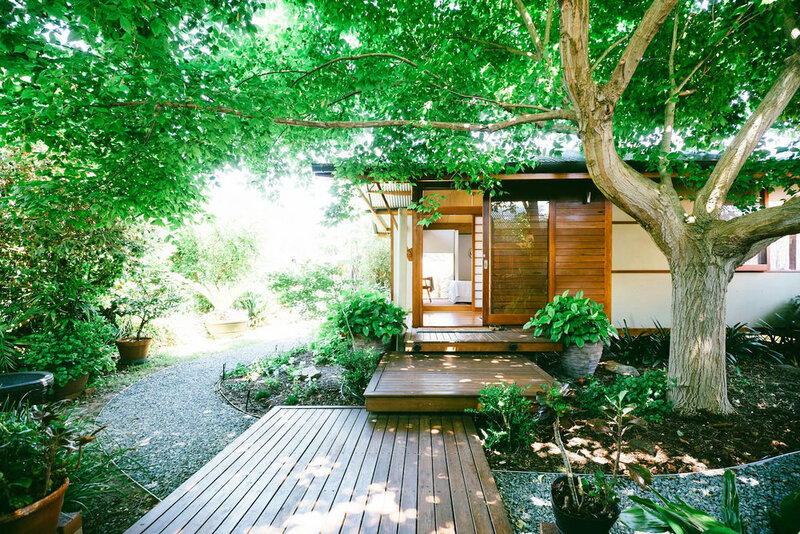 Design influences included Japanese / Indonesian garden retreats. 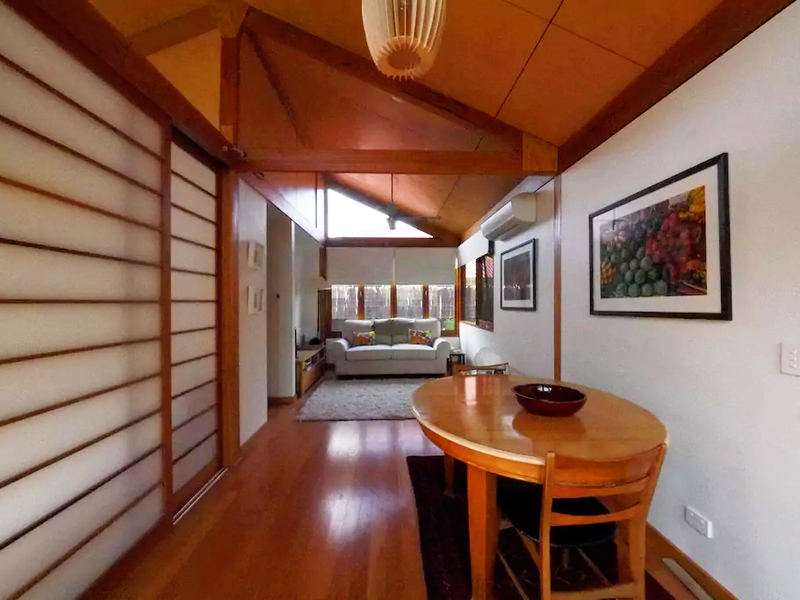 Key features are exposed blackbutt roof trussed, and beams, shoji doors, floating entry step decks, nestles under golden elm. The construction includes a steel framed floor, expressed timber frame truss roof structure and lightweight walls. We worked very closely with the carpenters onsite to achieve mainly expressed timber construction with Japanese influence in connection details and natural earthy materials.